As if little-known memoirists with quiet stories don’t have enough competition with all the celebrity tell-all memoirs, now we have to compete with memoirs written by fake celebrities! You can read more about this “memoir” here. This got me thinking about other movie and TV character memoirs that might be out there. I feel like it was something done in years past, but I can’t think of too many off the top of my head. I seem to remember reading such books when I was a little kid, like books written from the point-of-view of kids’ characters. Am I imagining things? Two I can think of are ones I actually own. I was a huge “Twin Peaks” fan when it originally aired on ABC in 1990-91. The reasons for my affection will be the topic of another blog post. 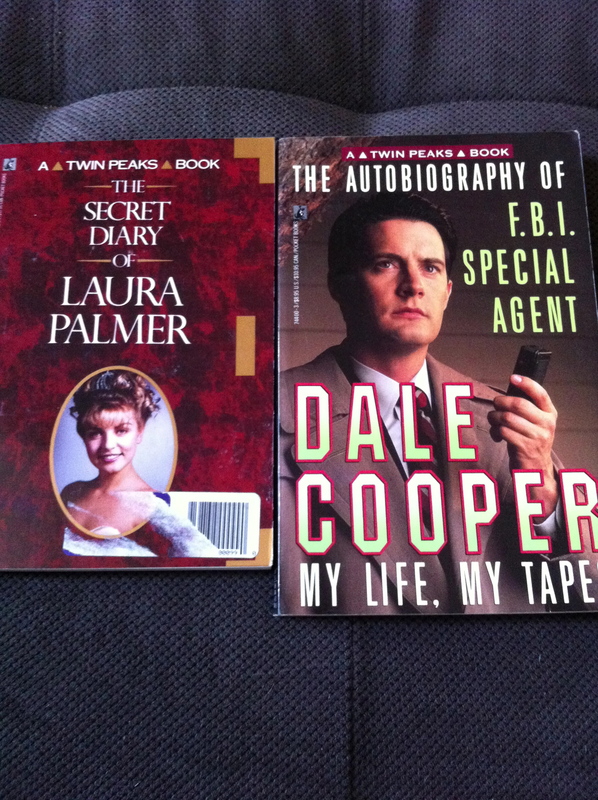 During the course of that short show, two books were released from the POV of characters: the secret diary of Laura Palmer, and the autobiography of Agent Cooper. Yes, I bought these when they came out, circa 1991. I really, really loved Twin Peaks. So, Mr. Anchorman, you can think you’re doing something new and creative, but you’re not! Can you think of similar books? 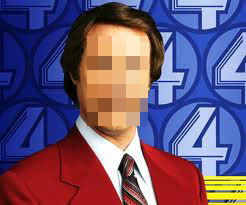 How well do you think the “Anchorman” fake memoir will do when it comes out in November? I’m a little frightened by the possibilities. Please don’t tell me it will be categorized in nonfiction. I don’t even remember that movie. Was it really a hit? A few guesses about what’s next: Borat, Happy Gilmore, and the chipmunks get a book each. But evidently I don’t count as one of ’em, because I never did understand why people laugh about pies in the face or prat falls or movies labeled comedies which are not actually funny. There’s a lot to be said for sophisticated humor! Or intelligent humor. But I guess we have to dumb everything down for the masses–movies, TV shows, books, etc. I don’t think we NEED to dumb it down–Sesame Street humor was fairly sophisticated and intelligent… I think it gets dumbed down because it’s easier and faster to write/produce inane drivel and the goal is “just keep cranking it out as long as they’re buying it…” in other words, it’s more profitable to write faster instead of smarter. I could Google this, but it’s Sunday and I’m lazy – does the next Anchorman movie come out in November? If so, I’m sorry to say this book will probably be a hit.